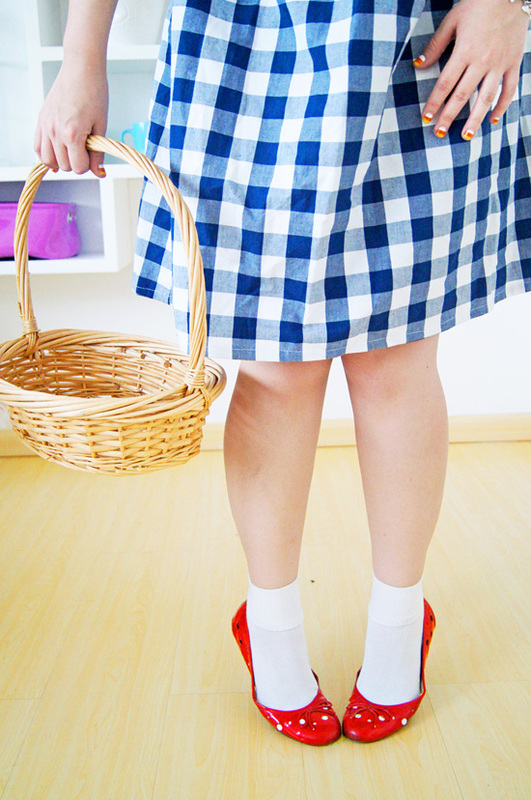 The Joy of Fashion: DIY Halloween Costume: Dorothy from Wizard of Oz! 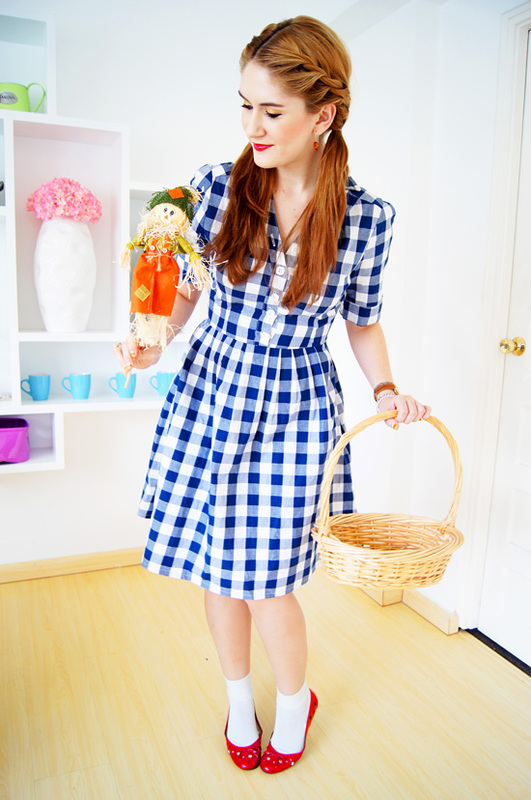 You will definitely need a gingham dress for this outfit. 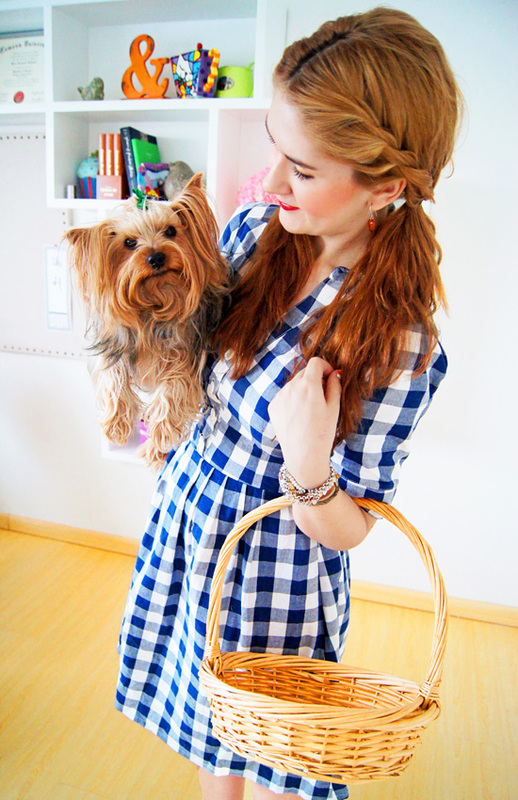 The one I am wearing is from Shabbyapple.com. I would recommend going for some fresh makeup with this look (red lipstick always adds a little extra something!). 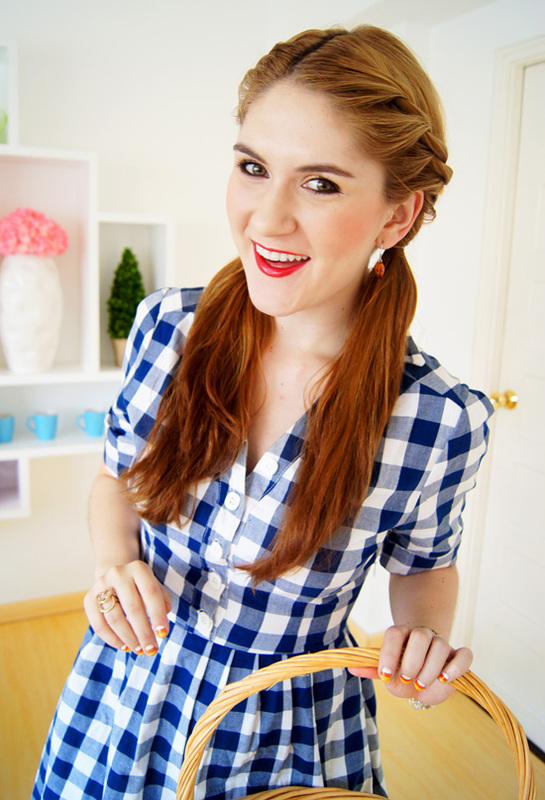 In terms of the hair, why not spice up the simple two ponytails that Dorothy always wears by adding this braided effect. 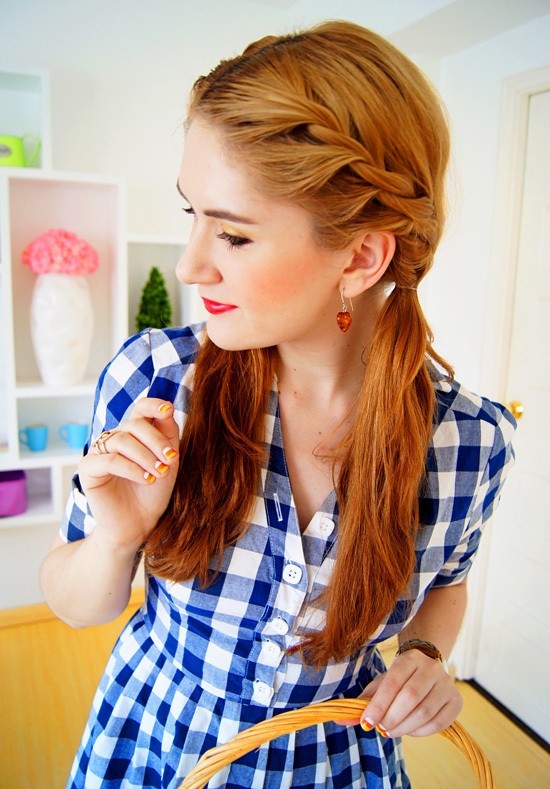 Just follow this hair tutorial on how to do this braid hairstyle. As a Kansas girl, this costume makes me so happy! 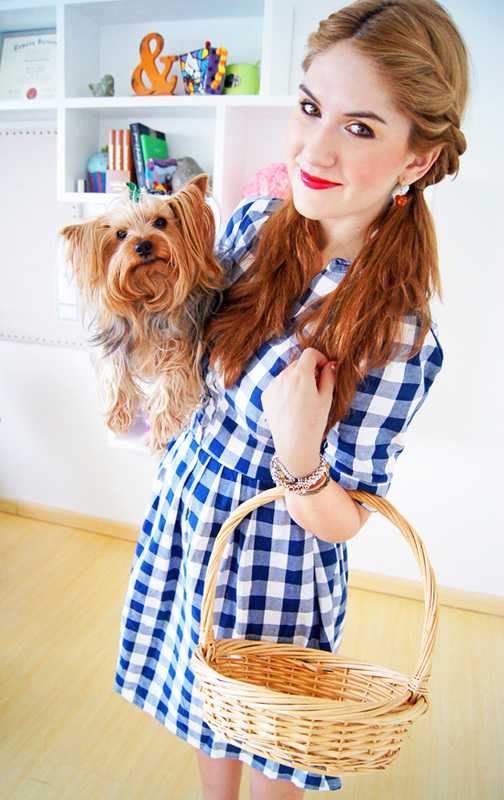 Perfect Dorothy look, and I love your hair and puppy accessory! tremendous bright and beautiful dress. magnificent dress style, color and fabric. I love your photos. Perfect!!! Super low-key and adorable at the same time. You go, Glen Coco! 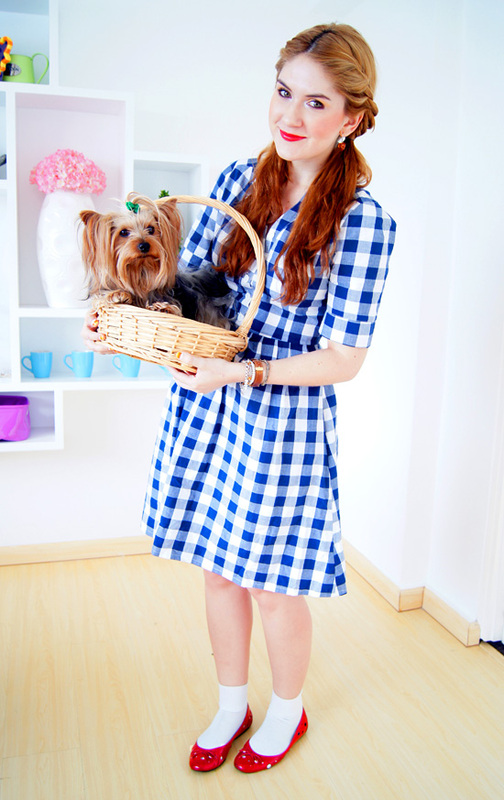 You make a perfect dorothy, and really, what dorothy would be complete without toto? This is sooooooooooooooooooooo cute, Marie!!! I love it a lot. Down to Toto, you got it all taken care of! :) Ps. Love your new Candyland heels! This is going to be my costume this year! Doing it myself. Thank you for some inspiration. I am in love with your hair color. Is it natural or do you color it? If you do can you tell me what brand and color you use? Thanks!